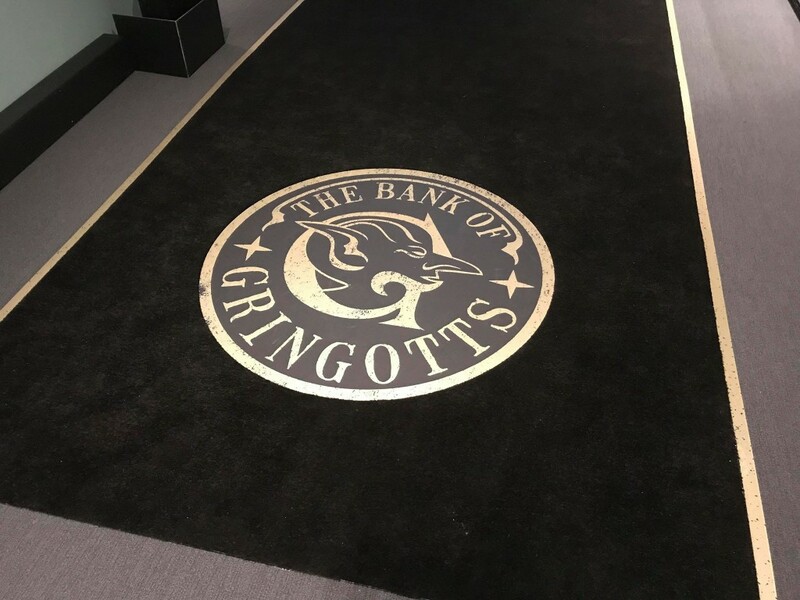 Yesterday evening, we were lucky enough to be given tickets by Warner Bros Studio Tour London to attend the opening of the Gringotts expansion! 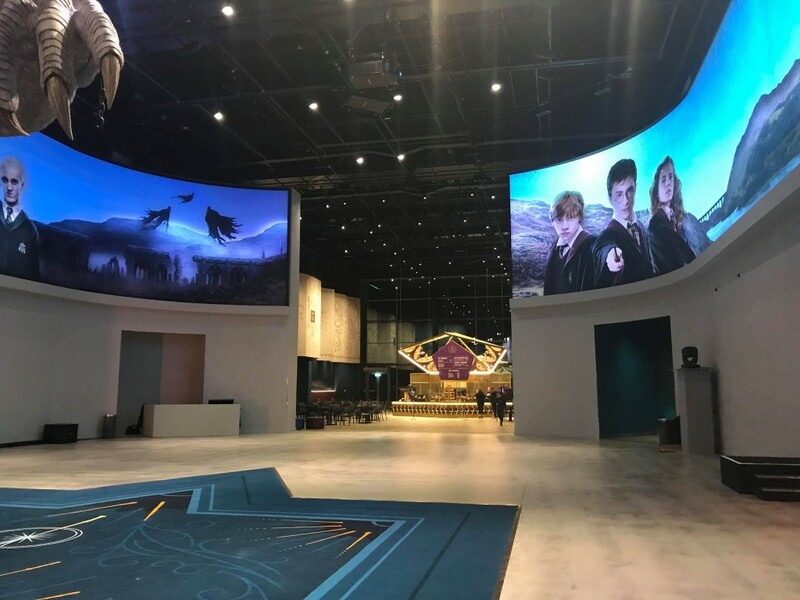 After handing in your tickets, you walk into the brand new lobby and can immediately see the GINORMOUS Ukrainian Ironbelly from Deathly Hallows Part One! 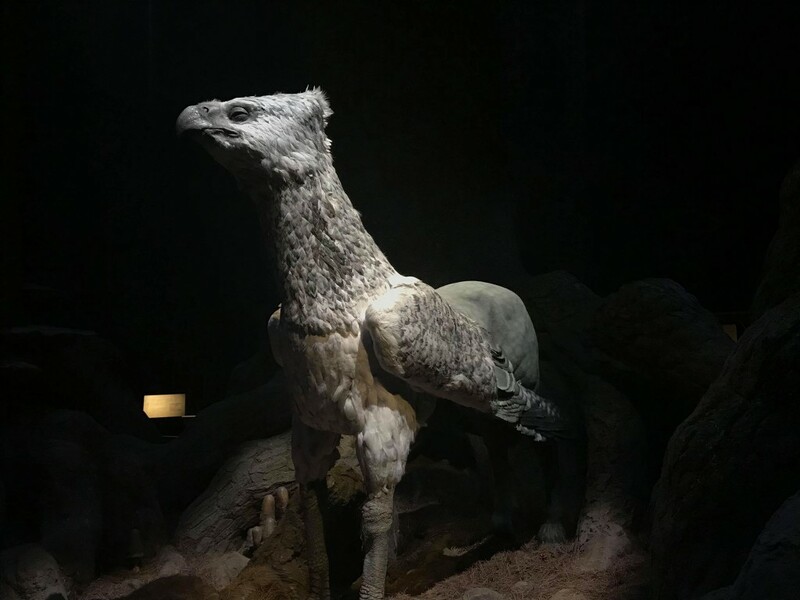 Seeing the intricacy of this dragon up-close is incredible. 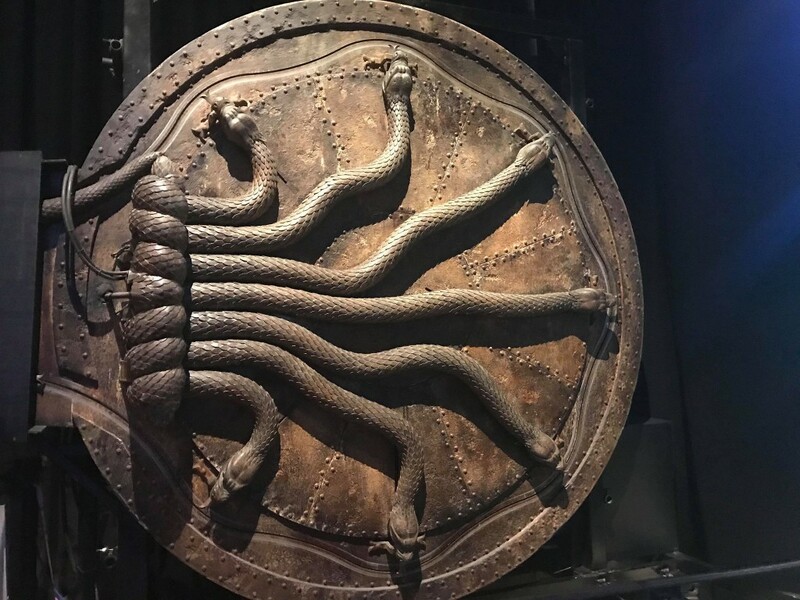 No amount of photos will do it justice, but you can see every chain, scratch, tooth, scale and spine on the dragon – it’ll make you wish they were real! 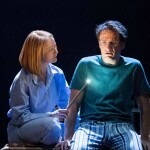 It’s such a wonderful new part of the tour. 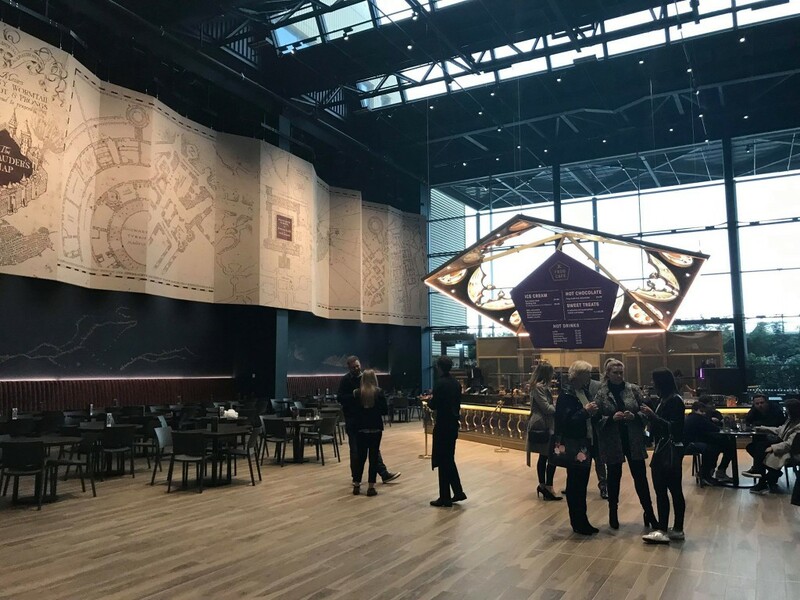 At the back of the lobby is the new Chocolate Frog cafe, which is simply magnificent. 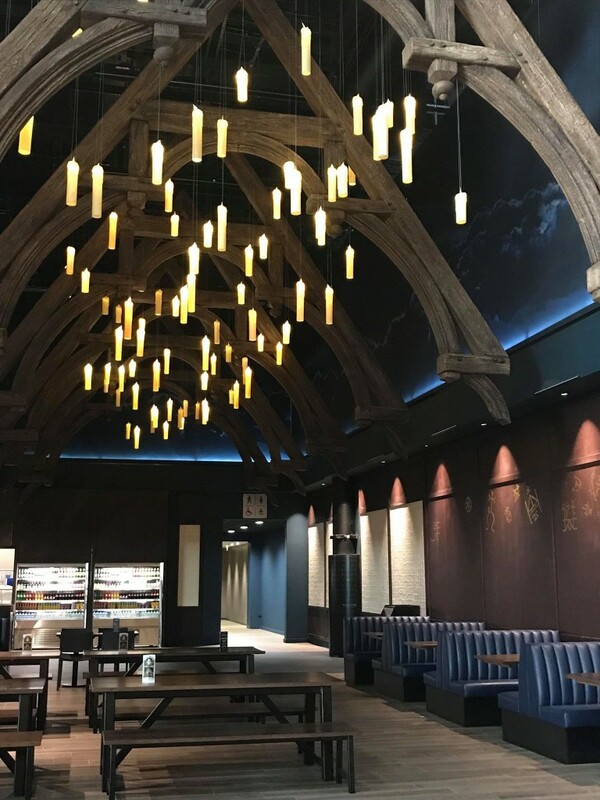 A huge Marauder’s Map on the wall to the left, a Cafe that actually looks like a chocolate frog box (and has an intricate chocolate fountain, as well as gold bar brownies, Galleon cakes and Chocolate Frog cakes! 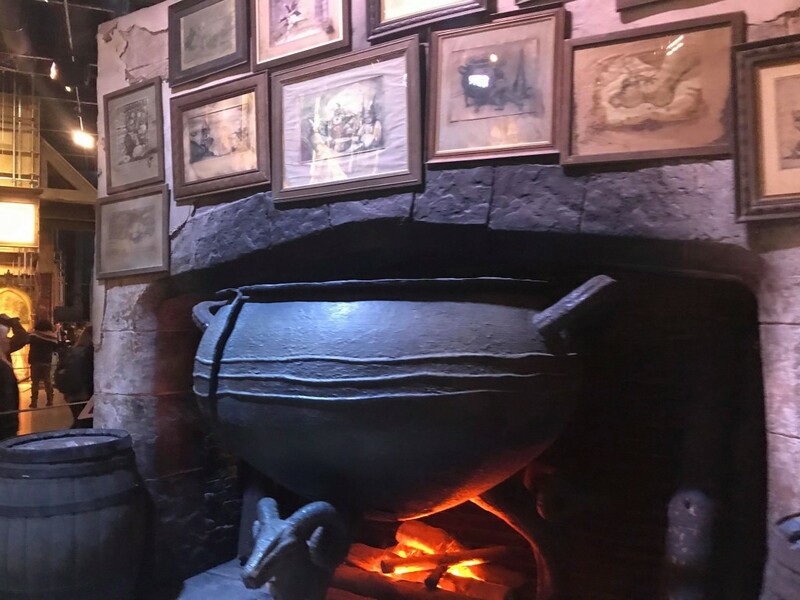 ), a great feature of the Great Hall hanging candles, and even some cauldron art (from Advanced Potion Making)! 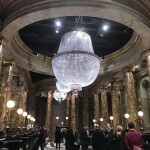 Awe-struck by the new lobby (how on Earth did they hide it?! 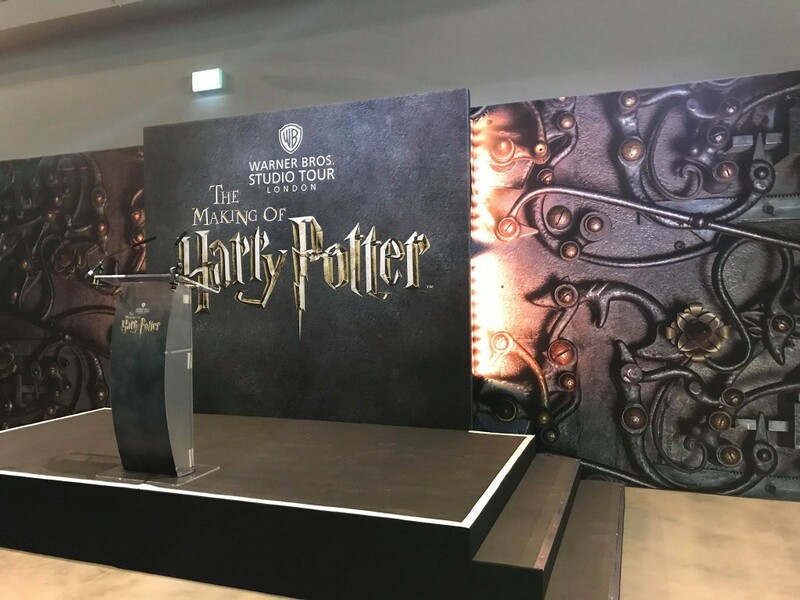 ), we made our way to the stage, where we were hearing from Lucius Malfoy himself, Jason Isaacs, to help open the new addition. 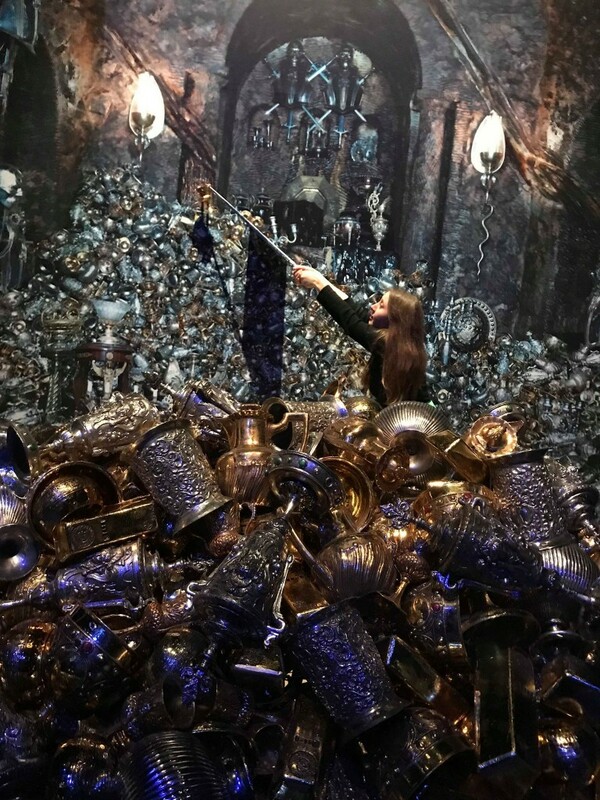 Dan Fogler (Jacob Kowalski) and Claudia Kim (Nagini) were also present at the event, along with Wand Choreographer Paul Harris! 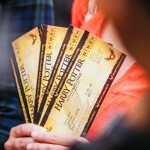 Then it was time to enter the tour. 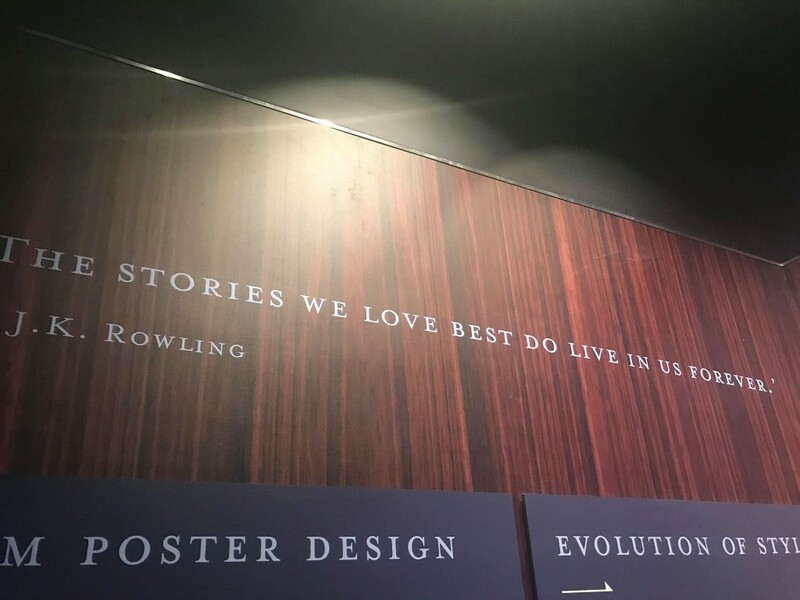 The entrance has also changed, with quotes from J.K. Rowling, a timeline of the Potter films, and a brand new video from J.K. Rowling, the interactors at the tour, and some fans! 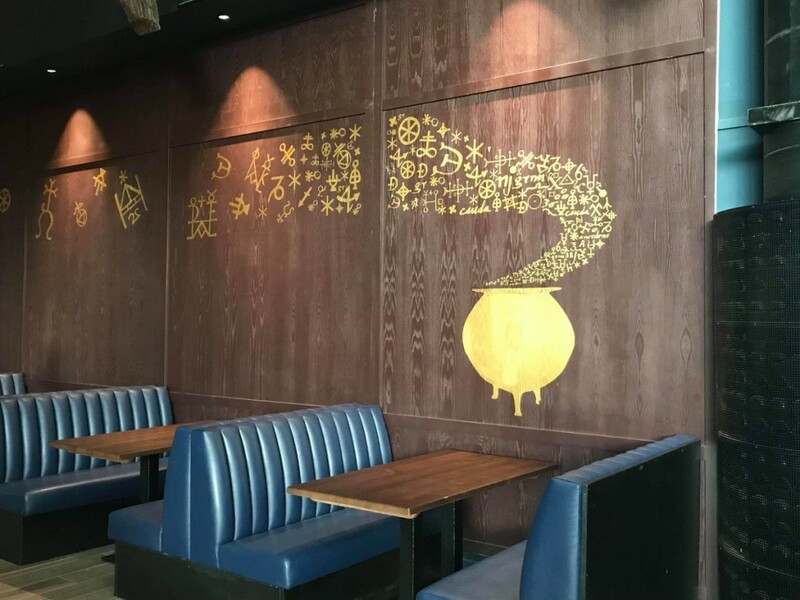 We weren’t allowed to take photos in that part, so you’ll have to wait to see for yourselves, but rest assured, it’s a great way to start the experience! 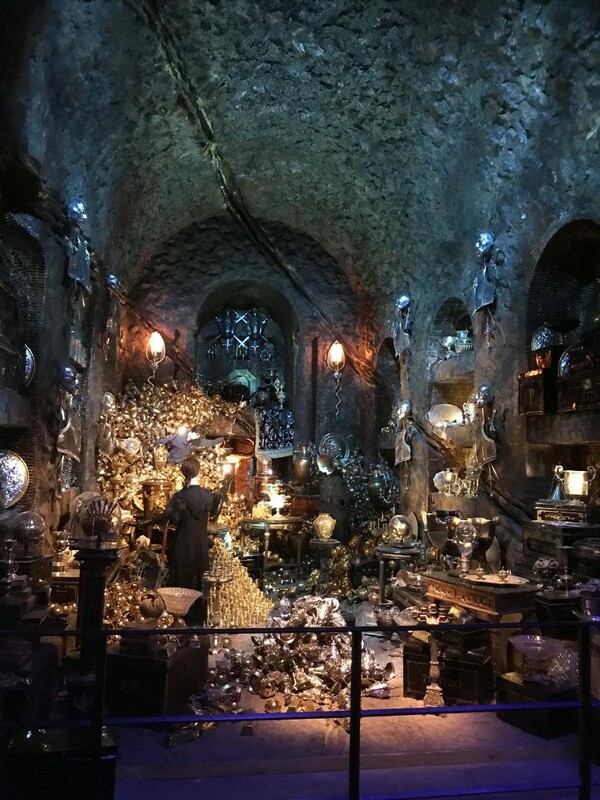 We walked through some of the old favourites – The Great Hall was magical and breathtaking as ever, the Gryffindor Common Room, Dumbledore’s Office, the Potions Classroom, The Burrow, Hagrid’s Hut, the entrance to The Chamber of Secrets and The Leaky Cauldron were as brilliant as we remembered, and The Forbidden Forest impressively terrifying, as always. 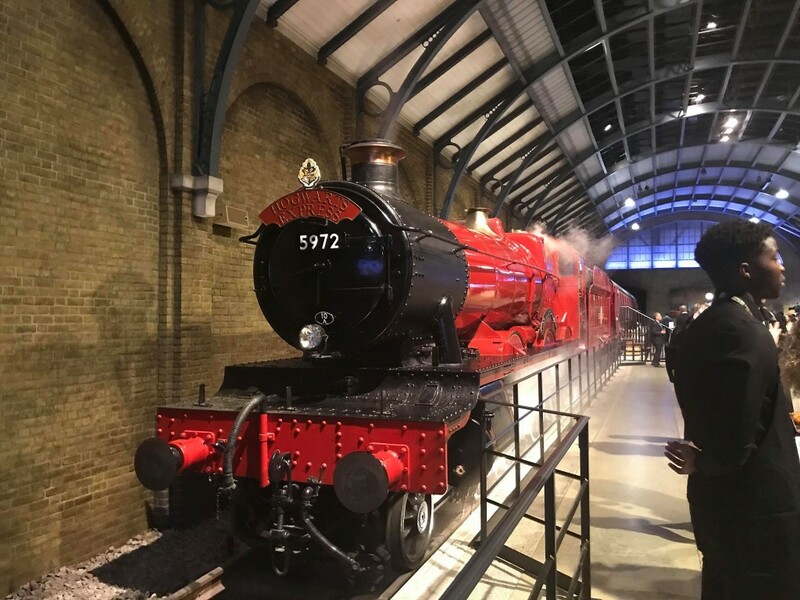 We stopped for treats at the Hogwarts Express and Butterbeer at the backlot cafe before making our way on to Privet Drive, The Knight Bus, Godric’s Hollow, the Magical Creature Department, and on…. 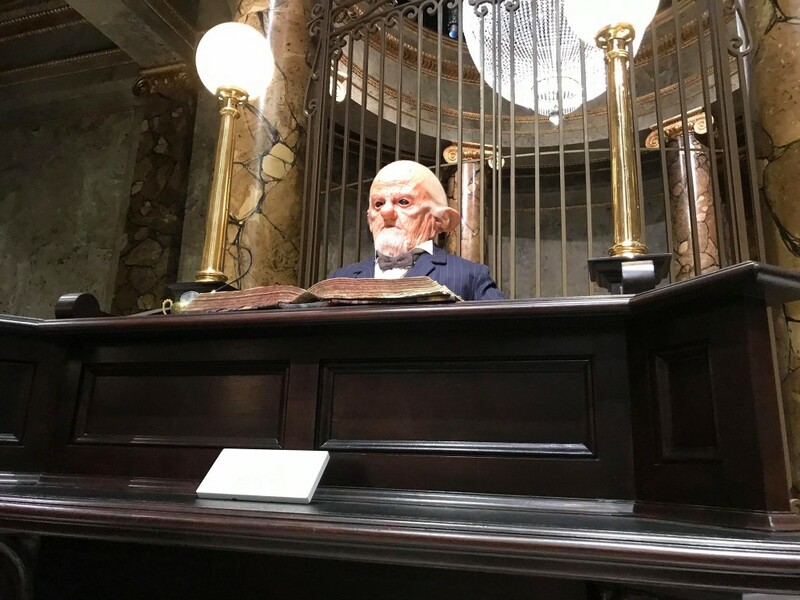 to Gringotts Wizarding Bank! 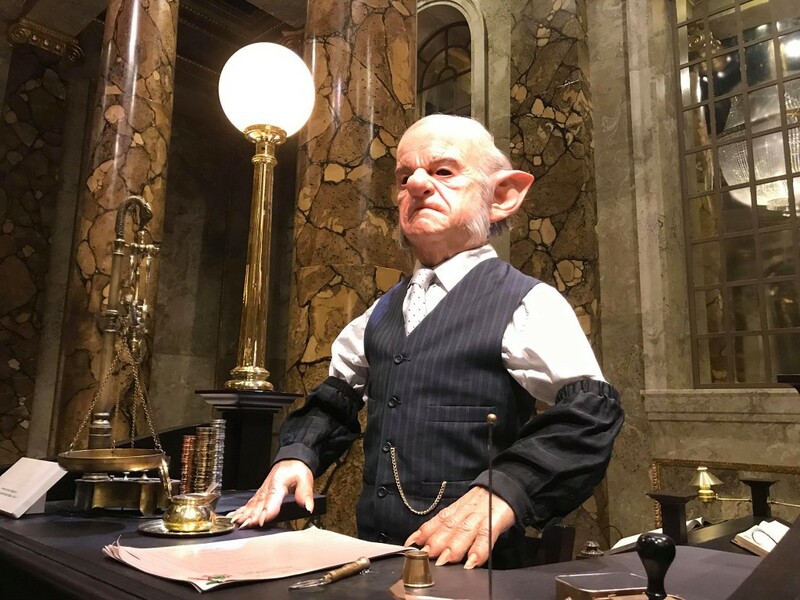 The Gringotts Wizarding Bank expansion begins by walking you through the hair and make-up, prosthetics and special effects required to create the Gringotts Goblins (including Warwick Davis as Griphook, and some features of him as Flitwick!) 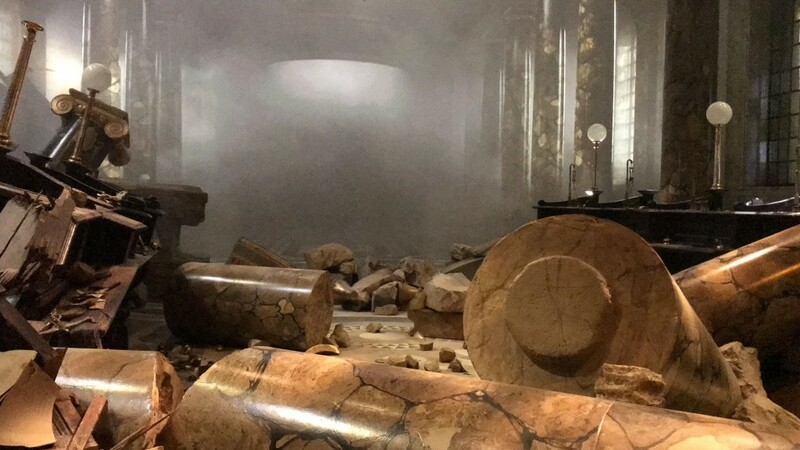 as well as the set models used to create Gringotts as it changes throughout the films, from our first sights in Philosopher’s Stone to its destruction in Deathly Hallows! 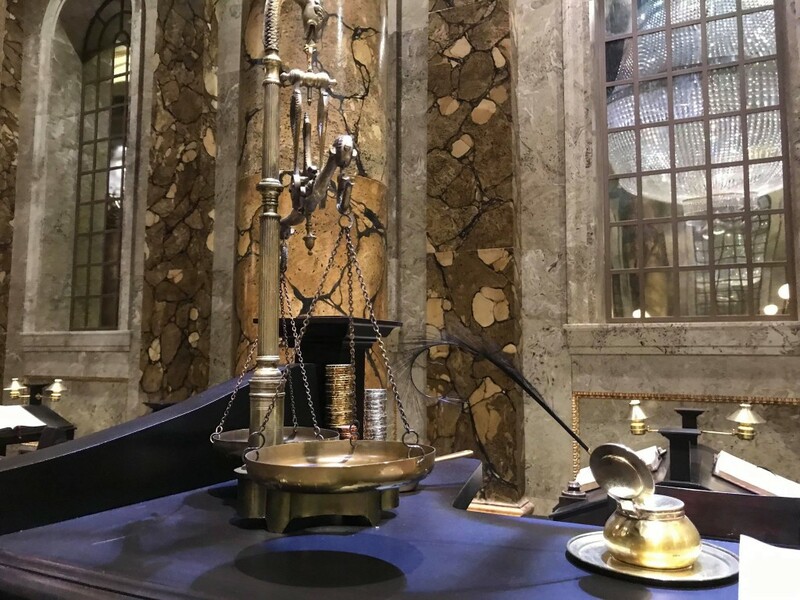 Not one Galleon was left unturned – every aspect of Gringotts immerses you in the Wizarding World, and it takes a good half an hour to get the full effect! 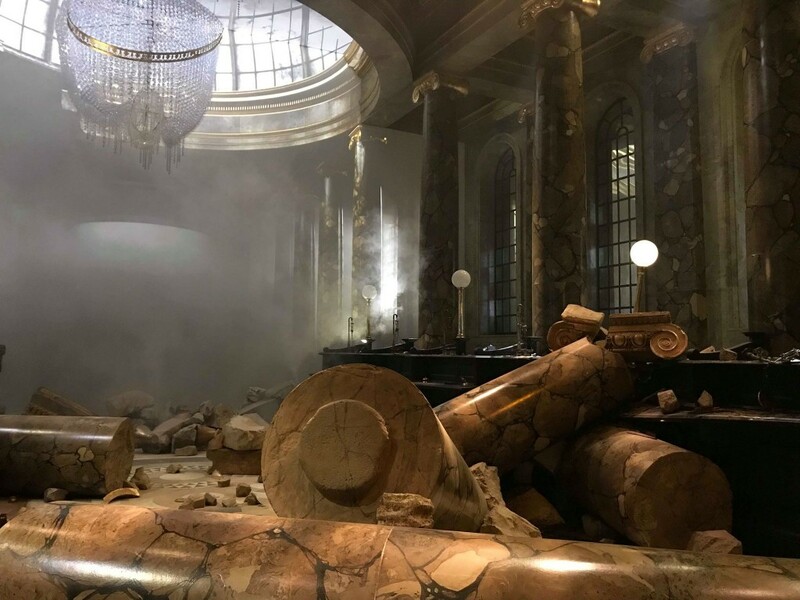 Continuing on, you can see the vault carts, the Philosopher’s Stone vault (complete with the Philosopher’s Stone), and one of the Gringotts underground tunnels. 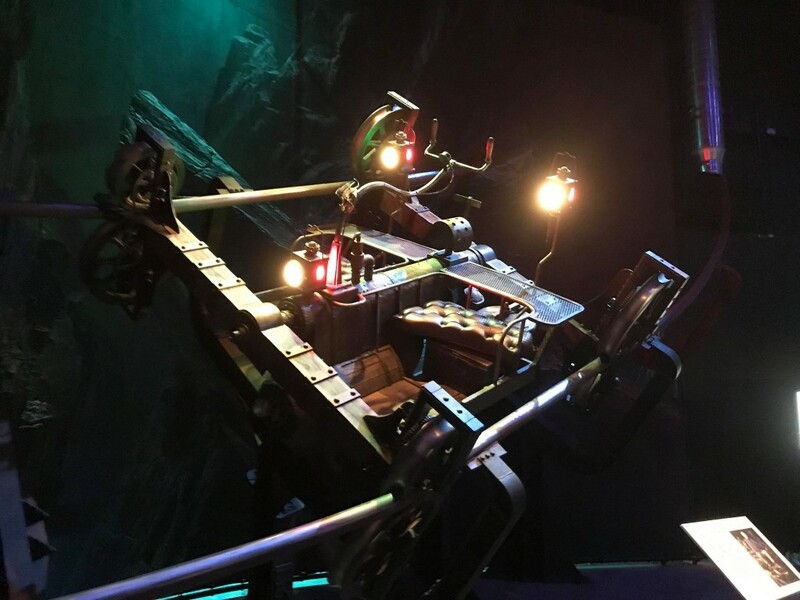 The mechanisms on the door actually move – see our video below to see how it works! 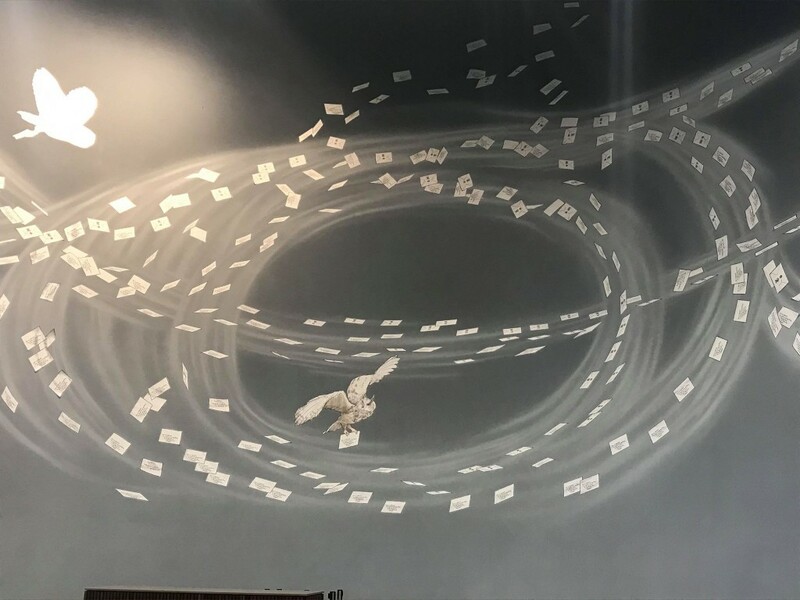 You can see how the Helga Hufflepuff cups were made (MinaLima designed these! 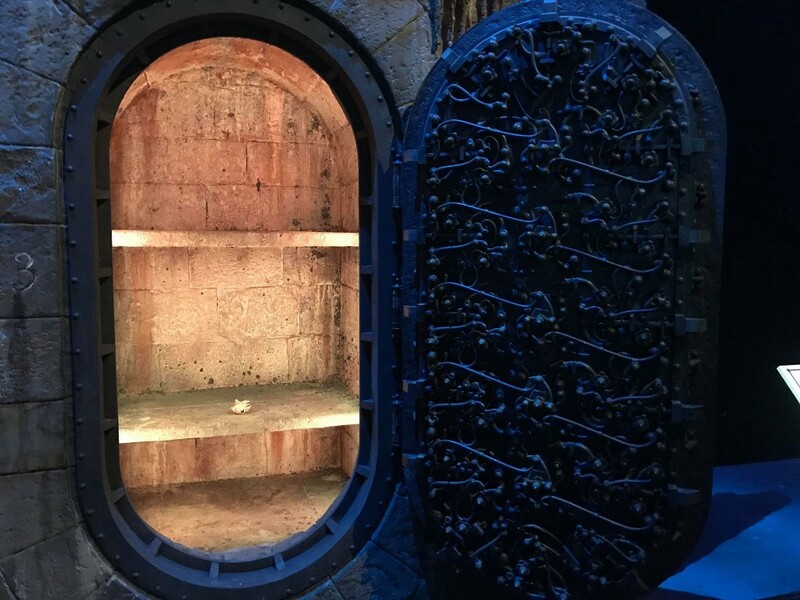 ), and the Lestrange Vault, before getting to create your own photos in the Lestrange vault, beside the costumes Emma Watson wore to ‘become’ Helena Bonham Carter’s Bellatrix Lestrange in Deathly Hallows Part 1! 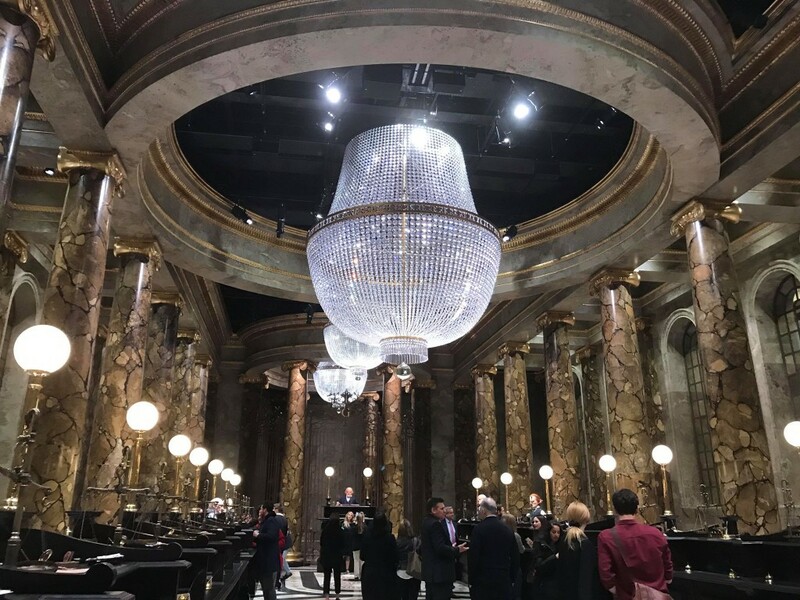 The final part of the Gringotts experience is a showstopper! 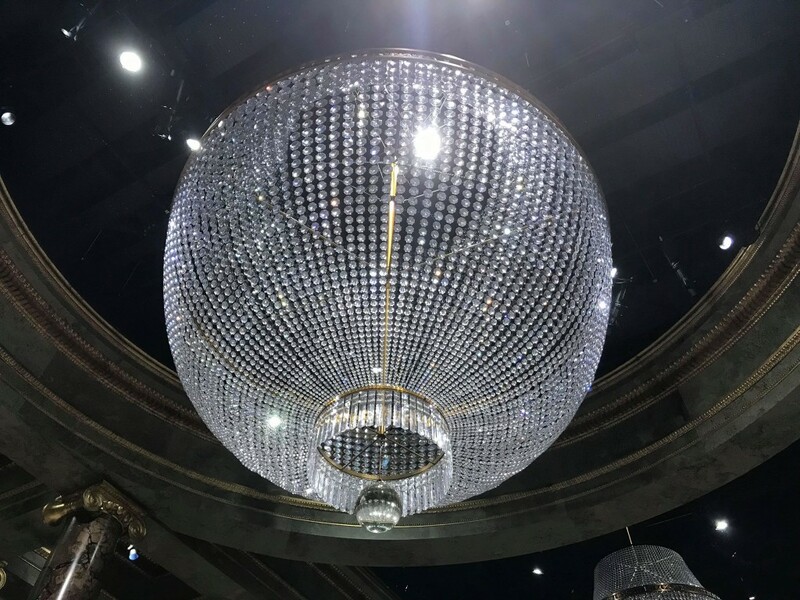 Step on into a ruined set, with a broken chandelier and a wreckage of desks and pillars, and a smokey atmosphere, before hearing thuds and the clinking of the glass chandelier shaking. 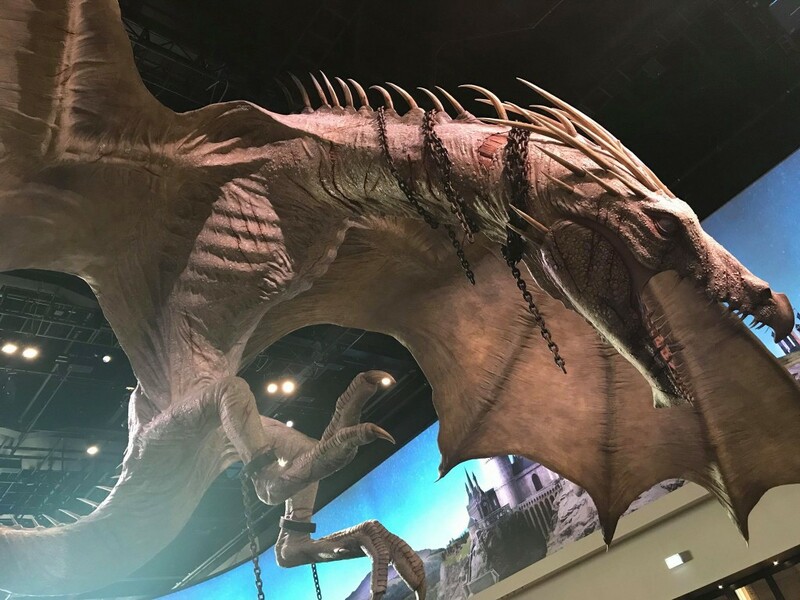 In the distance you see a huge creature emerge — none other than the Ukranian Ironbelly which escaped in Deathly Hallows Part One! 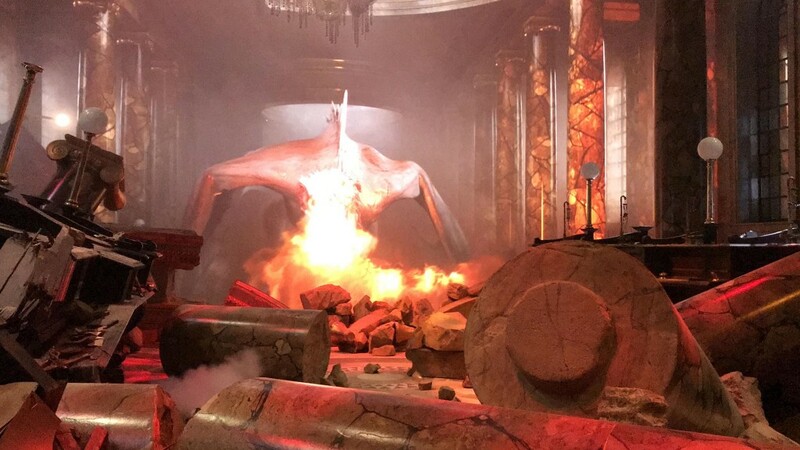 The dragon gives a tremendous roar, before covering the set in flames. 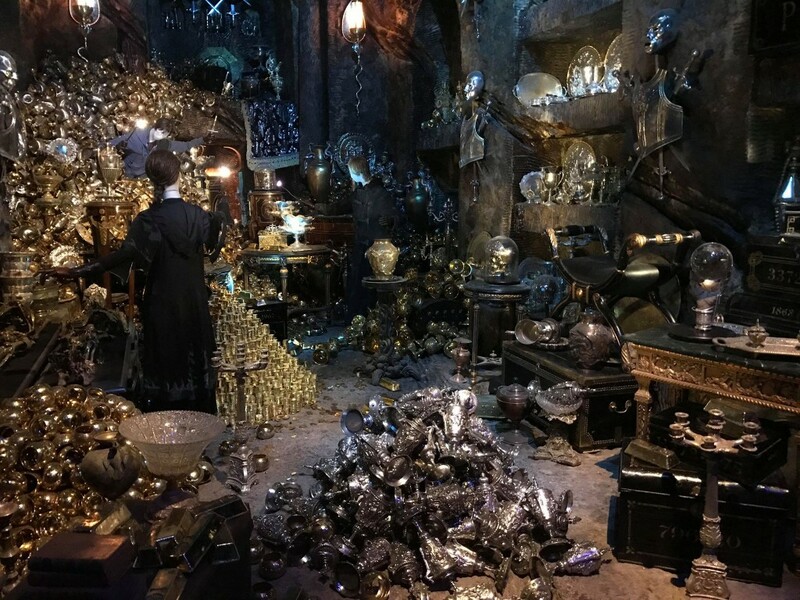 You can easily watch this twenty times and be just as surprised each time you see it – it’s utterly breathtaking! 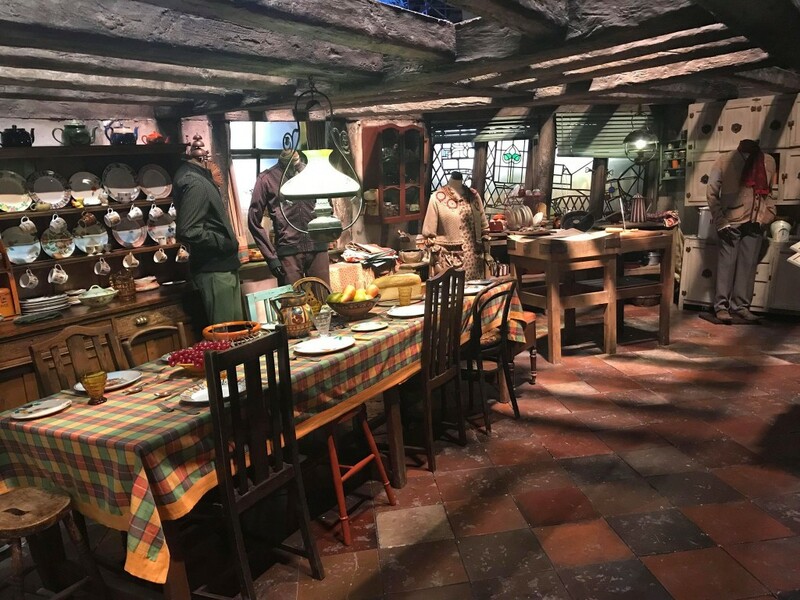 Finishing the tour with Diagon Alley and, of course, Hogwarts Castle, we emerged confounded at how Warner Bros Studio Tour continue to surprise fans on such an incredible level. 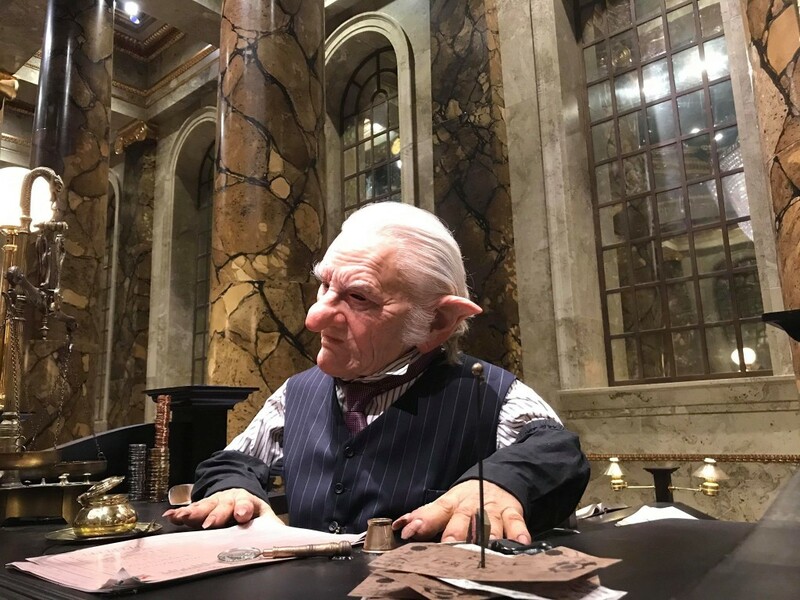 Gringotts is proof of both the ingenuity of J.K. Rowling’s creation, and the awe-inspiring work of everybody who worked on the films. 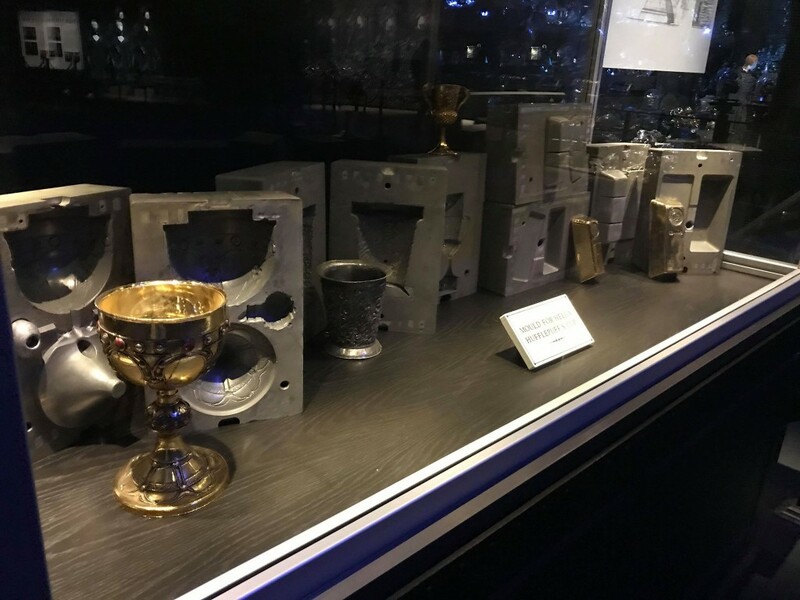 It really puts into perspective the scale of the projects undertaken by the unsung heroes of the movies; the construction workers, the artists and designers, the visual and special effect masterminds and other extremely talented creators who helped immerse us in the world we love even more. 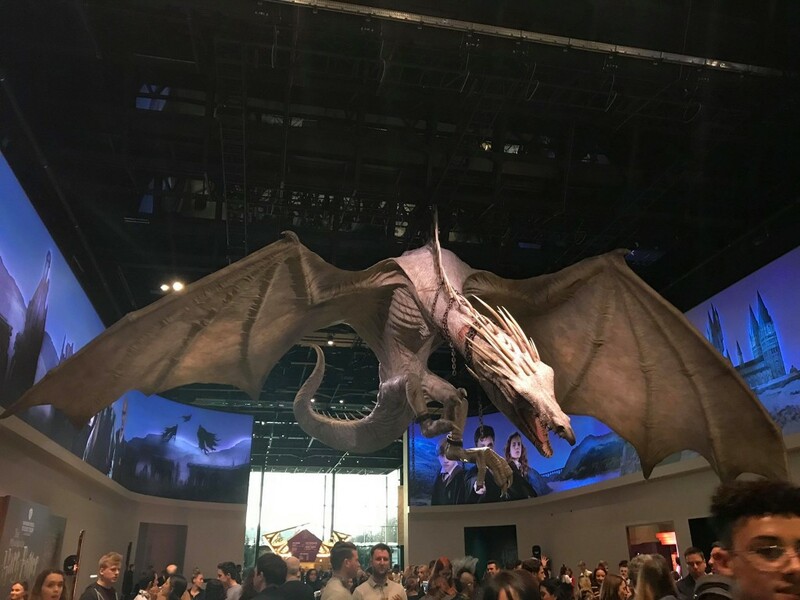 See our full tour of the new expansion below, and find out more here. 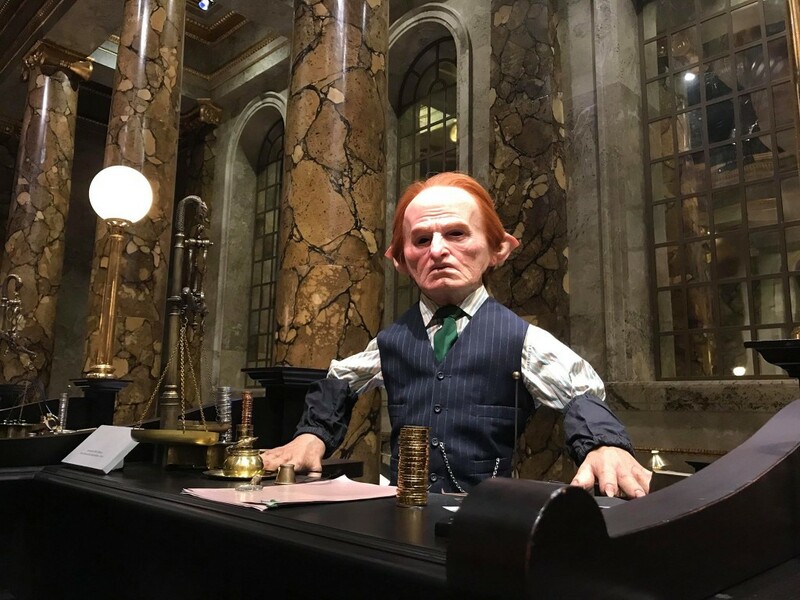 In the gift shop, we found one more special surprise, as it turns out the Ollivander Chocolate Frog cards being sold at Universal Studios are also now available at the Studio Tour! Get ’em while they last! 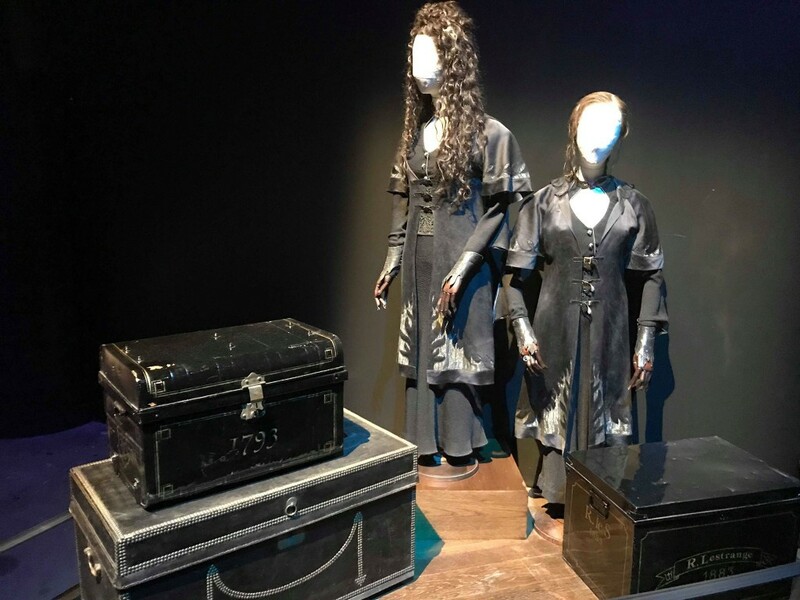 We can’t thank Warner Bros enough for inviting us to such a thrilling event, and we hope you enjoyed our full preview! 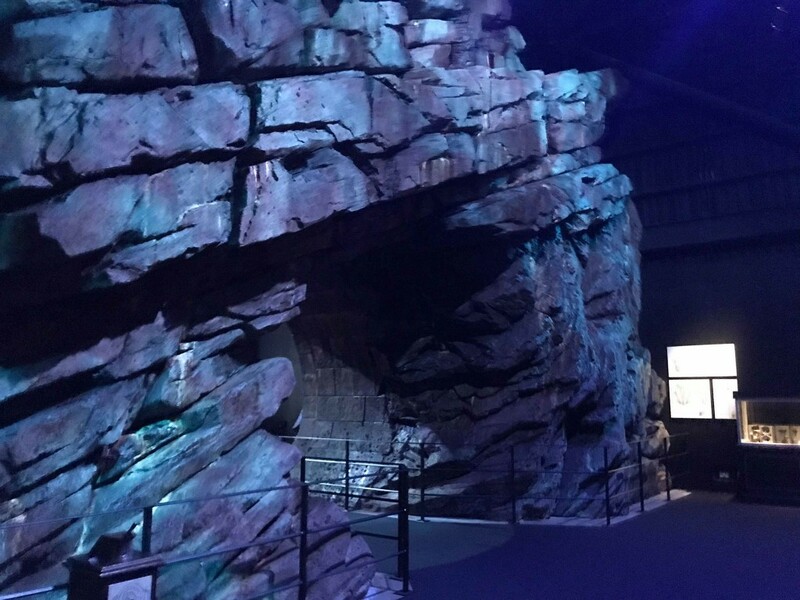 Let us know if you’ll be visiting soon, and which part you’re most excited to visit via Facebook, Twitter or Instagram!